While more people in China are adopting 3G service on their mobile phones, the next generation network is still far from becoming mainstream among users in the country. At the end of October, China had 38.6 million 3G mobile users, almost 300 percent up from a year earlier, according to the Ministry of Industry and Information Technology. However, that's only a small fraction of China's total mobile phone user base, which now stands at more than 800 million, according to official figures. The country first launched its 3G next generation network in January 2009, when its largest mobile carrier China Mobile began offering 3G commercial services. China Mobile said it would try to meet a government target of signing up 50 to 80 million 3G users to its network by the end of the year, but so far has signed up only 16.9 million. 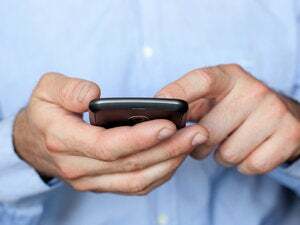 Analysts say even that figure is inflated, as it includes users of the company's "wireless wireline" phones, which connect via the 3G network but act more as landline phones. The country's two other mobile carriers, China Unicom and China Telecom, have 11.6 million and 10 million 3G users, respectively. "All of the operators had initially expected to have a considerably greater number of users by the end of 2010," said Mark Natkin, managing director of Beijing-based Marbridge Consulting. "I think for China Mobile, from the outset, that number would have been difficult, if not impossible to achieve. But even the other two operators had hoped to see a much brisker uptake." Fewer 3G users means fewer customers using 3G data services, Natkin added. Telecom operators believe such data services can bring added revenue as users look to their mobile phones to download apps and entertainment on their handsets. The availability of smartphones has been critical for that growth. But the phones are expensive, with many of the more popular brands at least 2000 yuan (US$300) or higher, something analysts see as the main stumbling block preventing many average Chinese consumers from buying a device. Still, Apple's iPhone 4 has been an exception to that trend. With the 16GB version of the device priced at 4,999 yuan ($752), the iPhone 4 continues to sell out, two months after its official launch in China. This has been good news for China Unicom, the sole mobile carrier of the device. The company reported this week that it had more than 600,000 pre-orders for the device, and that it could still not meet the demand. One thing that helped China Unicom land the distribution rights to the iPhone was its adoption of the WCDMA (Wideband Code Division Multiple Access) 3G standard, widely used outside China. This has made it easier for companies like Apple to bring their devices to the carrier, and given China Unicom a stronger selection of smartphones, as the same phones sold elsewhere can be used in China. China Mobile, however, uses the TD-SCDMA (Time Division Synchronous CDMA) 3G standard, a technology developed in China and not used elsewhere. As a result, a device like Apple's iPhone 4 cannot use China Mobile's 3G network, but instead only rely on its older 2G network. "China Mobile has its albatross in TD-SCDMA. Nobody wants it," said Duncan Clark, chairman of technology consultancy BDA. But this hasn't stopped China Mobile from trying to get people to use the iPhone 4 on its network. The carrier has been offering a service to alter customer's SIM cards so that they can fit within the smaller slot of an iPhone 4. But without access to a 3G network, users won't be getting the most out of their iPhone 4, analysts say. "TD-SCDMA is basically imposing a burden. As networks get faster on WCDMA, people are more likely wanting to use their iPhone on that network," Duncan said. "China Unicom has a nice window to exploit the iPhone." China Unicom is also taking the efforts to protect the purchases of its iPhones from being resold. Earlier this week, the company said it would freeze the deposits of customers who had signed a contract for an iPhone 4 if it was found that their handset was being used with a different phone number. Still, Apple only occupies a small share of the smartphone market in China, at about 5.9 percent, according to Beijing-based research firm Analysys International. Nokia holds the largest share of the market, followed by Samsung, Motorola, and Sony-Ericsson. In the third quarter of 2010, sales in China for smartphones reached 17 million units, a 31.6 percent increase from the same period last year. But even as more Chinese users are buying smartphones, some are choosing to stay with the older 2G networks, analysts say. When users look to upgrade to a 3G network, they ask if the pricing is right, as well as if the features and applications they can download on their handset are worth the costs, Natkin said. "Many users seem to be answering that question by staying with 2G," he added.